Burst Pipe Detection - a Double Header today for Aware! The frigid 5 degree weather in NY has given us a chance to see how well some of our water and pipe monitoring sensors have been working. The verdict? They are working pretty well! 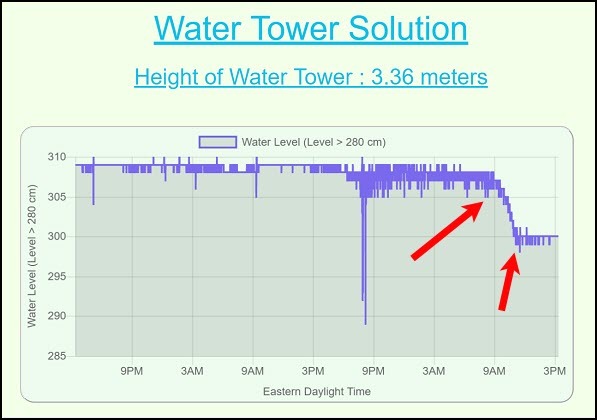 In one building alone, our sensors detected two separate burst pipe events – one at 9am from the water tower pipes (see Figure A), and the other at 3:30pm from a 1st floor sprinkler head in the retail space (see Figure B). See the full story below, as told by our two analytic graphs. Water tower water level started dropping from 9am until 1pm. Our sensor was able to pick up data that illustrated the water in water tank had been dropping about 3 centimeters an hour since 9am. Water level stabilized at 10 centimeters lower than usual at around 1pm - now at 299cm water height, versus the usual 308cm. Conclusion: Cracked pipe leading from water tower was found and repaired in a timely matter (leak #1 of the day). Significant increase in riser pipe humidity that started at 3pm. Increase in the overall basement humidity, also starting at 3pm. Conclusion: Identified a major leak from the first floor sprinkler head (leak #2 of the day). This technology is available, is reasonably priced, and works. If you want to know more, please check out the AWARE-LD (leak detection) section of our website http://buildinglink.com/aware, or contact BuildingLink's Aware! division at aware@buildinglink.com.